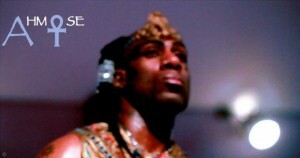 Shakka Ahmose, the singer who put Kemetic spirituality to a tune that today’s struggling youth can hear, has made the top 100 at ReverbNation. It is no surprise since he is singing the message of our Ancestors. He speaks right to our DNA. Congratulations, Shakka Ahmose! We in Vodun News and Ile Baalat Teva wish you even greater success and opportunity to shine like the Morning Star. Warning: have tissues handy. This song brings healing tears. Never ever let them tell you who you are.